Don’t despair if you don’t feel ready to take on the challenge of machine polishing. Some compounds, such as Scholl Concepts S17+, can also be used to great effect by hand. Used with Scholl’s ergonomic hand polishing puck, even pressure can be realized during hand polishing and the S17+ can polish out light scratches and swirls marks relatively easily. The hand pucks help the diminishing granules work against the paint to remove marks. As the polish gets finer you see a nice gloss from the freshly polished paint. You can even tackle more serious, deep scratches in the same way, using Scholl Concepts S3 Gold on the hand puck. 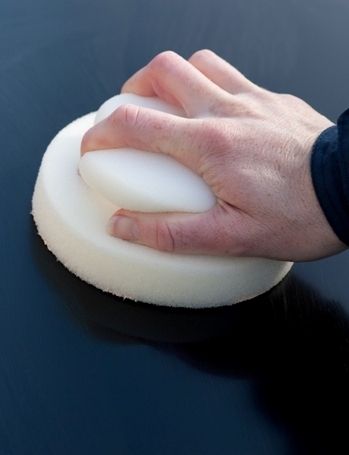 But carry this out with care, checking regularly that you’re not removing too much surface material. For more tips on hand polishing, see the advice sections on the compound and polish product descriptions when shopping.